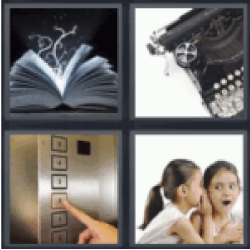 4 Pics 1 Word Book. Typewriter. Elevator. Whisper.